Perfect for a romantic getaway, a family vacation, dog-friendly luxury self catering breaks or even long term stays if you’re in between properties. Our excellent location means that many attractions and places of interest are within easy reach. All seasons can be whiled away; whether it be summer evenings on the terrace, or winter nights curled up by the fire. The luxury lodges are all finished to the highest standards both inside and out. All the lodges have their own terrace with spectacular views of the marina. Each one has been strategically positioned to optimise the wonderful views of the marina and the surrounding area. The integration of modern design features and appliances with opulent soft furnishings gives each lodge a truly unique character and appeal. Each lodge has its own car parking space for two cars, and a gated veranda which provides a private area for alfresco dining. All the lodges have Wifi available and include 1 gigabyte of free data in your welcome pack. "When we arrived the surroundings that met us were beautiful with all the brightly coloured narrowboats. Check in was so simple and the reception staff were so helpful they went the extra mile to help. When we opened the lodge door to say there was a WOW factor was an understatement"
Family friendly luxury lodge, full of character and situated on Marina View North. Laurel has a spacious open plan lounge with large central patio doors that boasts a view over the marina. 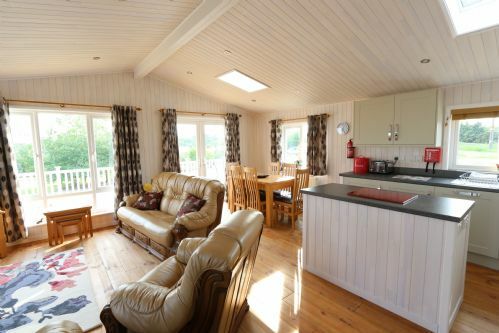 An ideal lodge for get togethers, which easily sleeps up to six guests with two double bedrooms and a twin room. 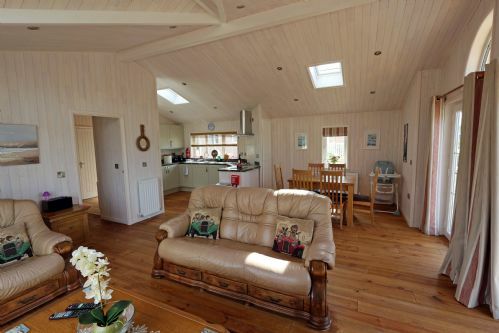 Cherry Lodge has been finished and furnished to an exceptionally high standard. It has been positioned with its large double aspect verandah to give excellent views of the marina, with the colourful boats and abundant wildlife, whilst enjoying the sunshine. The light and airy open plan interior, with gas central heating, offers superb views for cooler days. The lodge is ideal for couples or families to enjoy, whatever the season. Photographs can’t do justice to this wonderfully spacious and comfortable lodge, which is the Premier lodge in our luxury selection. 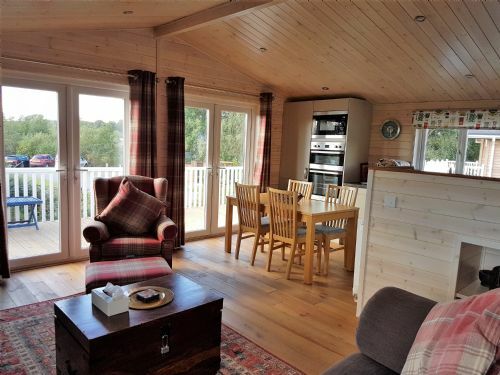 As well as a beautifully furnished open plan living area this lodge also boasts two generous en suite bedrooms which sleep 4 adults in genuine comfort. 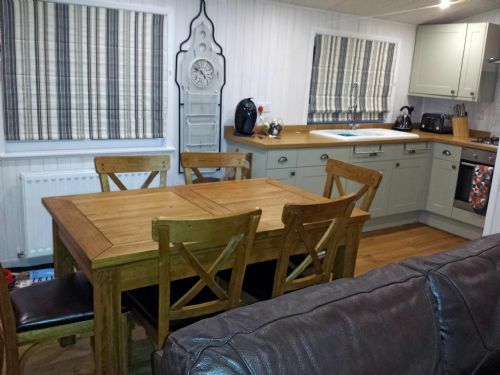 This spacious lodge is furnished with beautiful solid oak furniture and lots of fantastic iconic features to add value to your self catering holiday experience. Foxglove comfortably sleeps 6 guests with 2 double bedroom and a twin room with a luxury ensuite to the master bedroom. This is a no smoking/vaping lodge. 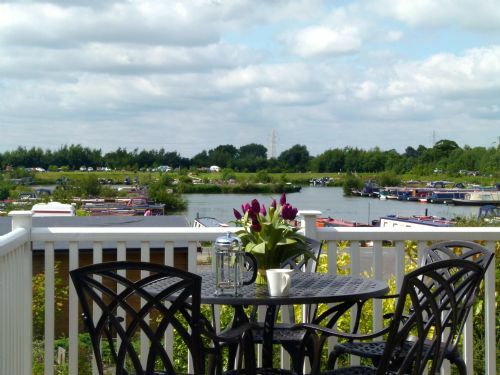 Enhance your holiday experience by choosing a breakfast option from the booking menu and enjoy a Boaters Breakfast at the Willow Tree which is onsite at Mercia. Dogs are welcome for a supplement. No charge for registered assistance dogs. Please bring your own dog bedding and bowls. 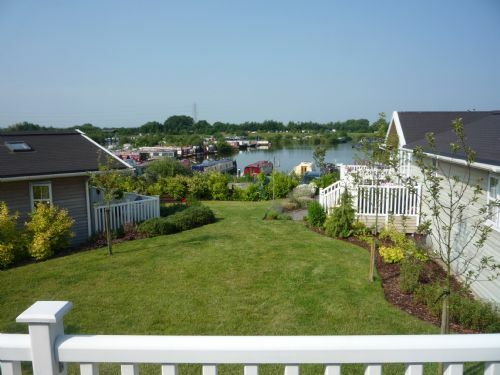 Enjoy a relaxing stay in one our newest lodges with great views over the marina and a `home from home feel`. The spacious lounge with its rustic, highland theme sits beside a modern well-appointed kitchen diner. French windows lead on to the extensive 2.4 metre balcony overlooking the marina and its many boats. An ideal spot to relax in the evening as the sun goes down. The two generous bedrooms feature an en-suite king-size double with good storage space and TV. The second bedroom has two comfortable single beds served by a second family bathroom, where as well as a shower you can enjoy a soak in its steel bath. A small library of games and DVD’s is on hand for those odd rainy afternoons. A large screen internet TV, recordable DVD player and a Bluetooth-enabled music system can be found in the lounge area. Hazel Lodge has everything required for a five-star holiday break within a tranquil conservation park. 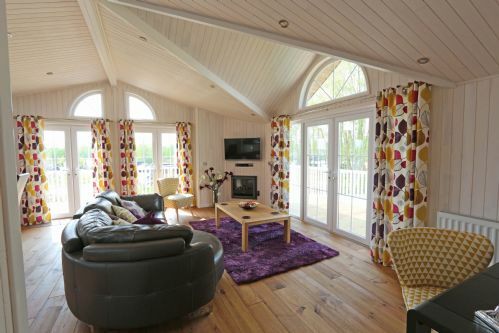 Spacious and relaxing with a grand view of the marina lake, Acer Lodge is the ideal getaway for friends and family. 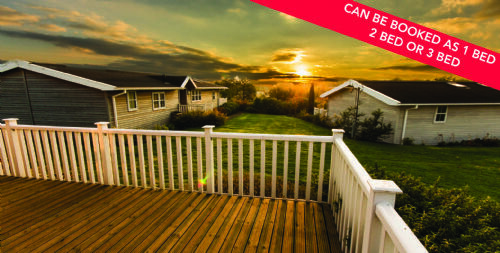 With a full sized double veranda facing South and West you are ensured both day and evening sun while the patio furniture is ideal for alfresco dining. Three bedrooms with four single beds and a double bedroom that has access to its own large shower and en-suite facilities sleep 6 guests in comfort. Acacia lodge is situated on the Meadow overlooking the marina waters with a full sized double veranda facing South and West to ensure both day and evening sun. The interior is furnished with oak and leather furniture and has 3 bedrooms with three single beds and a double bedroom that has access to its own large shower and en-suite facilities and with a baby travel cot. The lodge is approached by a tarmac footpath with a slight incline thereby removing the need for any steps to access the Lodge or veranda. 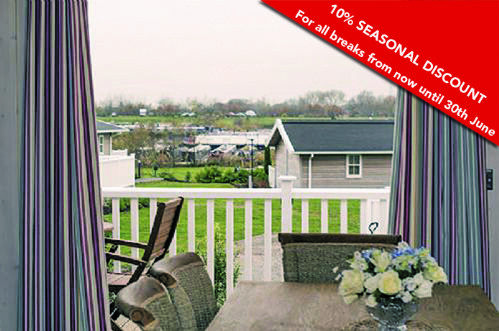 Willow Lodge is the perfect place for your holiday or short break. Enjoy this light and luxurious two bedroom premier lodge that benefits from a beautiful elevated view of the 24 acre lake and nature rich environment. The lodge has a tarmac path and a gentle sloping ramp to the door for ease of access. Willow sleeps up to 4 guests in genuine comfort with a double master bedroom and twin room. The open plan lounge is luxurious with spacious dining area, fully equipped kitchen, flat screen TV, and a multi fuel stove. Chestnut Lodge is a beautiful 3 bedroom lodge that offers Luxury, style, space and comfort. 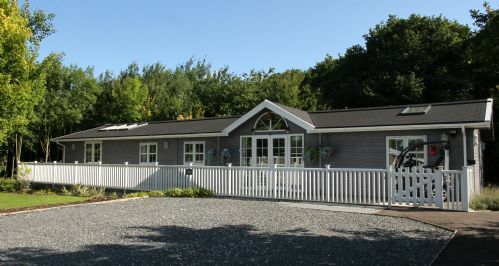 This spacious lodge is furnished with modern contemporary furniture and tasteful features to make your self catering holiday experience more special.Comfortably sleeping 6 guests with 2 double bedrooms and a twin room, there is a luxury ensuite bath and shower to the master bedroom as well as a wet room shared by 2 bedrooms. All doorways are extra wide to allow wheelchair access. Chestnut is available in three formats and offers 840 square feet of living space when booked as a 3 bed lodge. With lockable internal doors Chestnut can be booked in different formats with different pricing to match each option including a couples rate. Magnolia offers the perfect family retreat in one luxury lodge with everything needed to create a memorable fun family self catering holiday exploring the nature rich surroundings or as a base for visiting local attractions such as the Peak District or activities on the water at the marina. Magnolia is available in three different options and offers 1430 square feet of living space when booked as a 9 bed lodge. 9 Bed lodge giving a king size, a double and 5 single beds, 2 kitchens and 3 bathrooms. 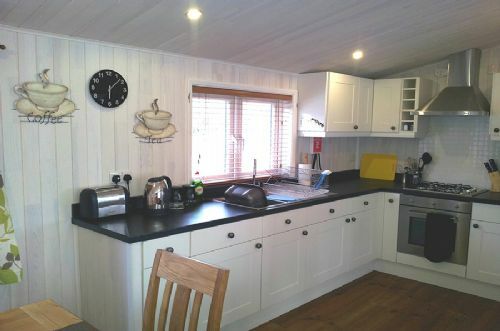 6 Bed lodge giving a king size, a double and 2 single beds, 2 kitchens and 3 bathrooms. 3 Bed lodge giving a king size bedroom and a single bedroom, 2 bathrooms, and the main open living space.